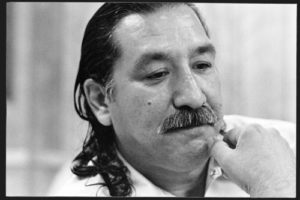 Today, the National L awyers Guild (NLG) in coordination with the International Leonard Peltier Defense Committee sent a letter urging President Obama to grant Executive Clemency to 71-year-old political prisoner and Native American activist, Leonard Peltier. “Despite overwhelming evidence of FBI misconduct—including the coercion and intimidation of witnesses, the utilization of false testimonies, and the concealment of a ballistics test reflecting his innocence—Mr. Peltier has been denied a new trial and is long overdue for parole,” the letter states. Read the full letter from the NLG here.